in CAD, CAD to GBP, GBP, GBP to CAD. 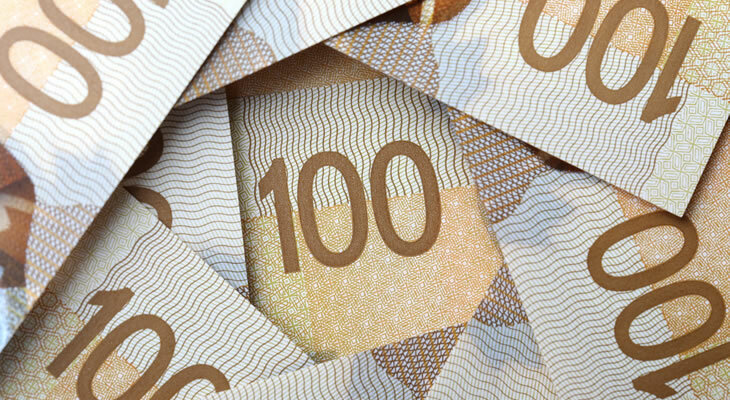 The Canadian Dollar (CAD) rose against the Pound (GBP) today despite the publication of the Canadian manufacturing shipments figures for February, which fell by -0.2%. Yesterday saw the publication of the Bank of Canada’s (BoC) business outlook survey, which indicated that global trade tensions had begun to weigh on business confidence. The Pound, meanwhile, fell despite the UK unemployment rate figures for February coming in at a 44-year low at 3.9%. ‘The UK jobs market continues to go from strength to strength, proving the underlying resilience of the British economy. These were followed by the UK average earnings excluding bonus figures for February, which sank to 3.4% against January’s 3.5%. In Brexit news meanwhile, the President of the European Council, Donald Tusk, has showed signs of relaxing over the UK’s Brexit extension, saying that British MEPs could sit along the European elections for ‘months or even longer’. However, cross-party talks between the Conservatives and Labour have apparently stalled, according to opposition leader, Jeremy Corbyn. Many ‘Loonie’ traders are waiting for news from the US-China trade talks after hopes rose yesterday following President Trump’s optimistic remarks that the two superpowers would secure a deal. Pound traders will be awaiting the publication of the UK Retail Price Index figures for March tomorrow, which are expected to sink. These will be followed by the printing of the year-on-year UK Consumer Price Index figures for March, which are, however expected to rise. This could provide some much-needed uplift for the Sterling. ‘Loonie’ traders are looking ahead to the Bank of Canada’s publication of the CPI figures for March. The GBP/CAD exchange rate could potentially rise, however, if Mark Carney, the Governor of the Bank of England, has any optimistic comments to say about the UK economy during his speech tomorrow.